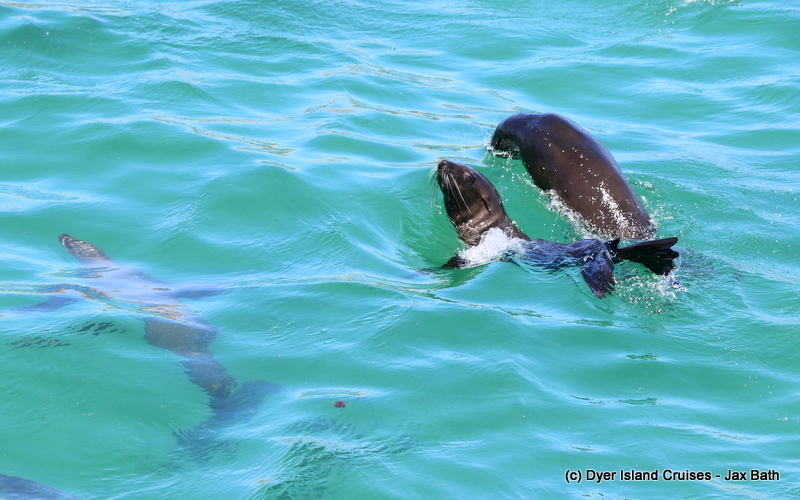 We had an awesome surprise today over in The Shallows. 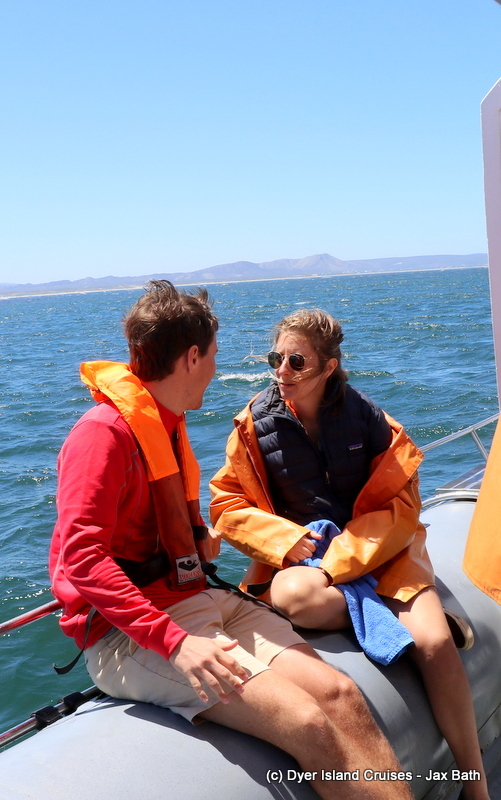 We set out at around 11:00 to sea, moving along the coast and having a look out for some wildlife as we traversed the bay. We moved through the swells along the beach. The shark cage diving activity was a little slow today, so we made our way into the area hoping to find a shark or two, although the cage diving boats had not experienced too much luck. Our fist stop was at our sister company’s cage. As we were approached, we were elated to see a dark shadow circling the cage. A Great White Shark. 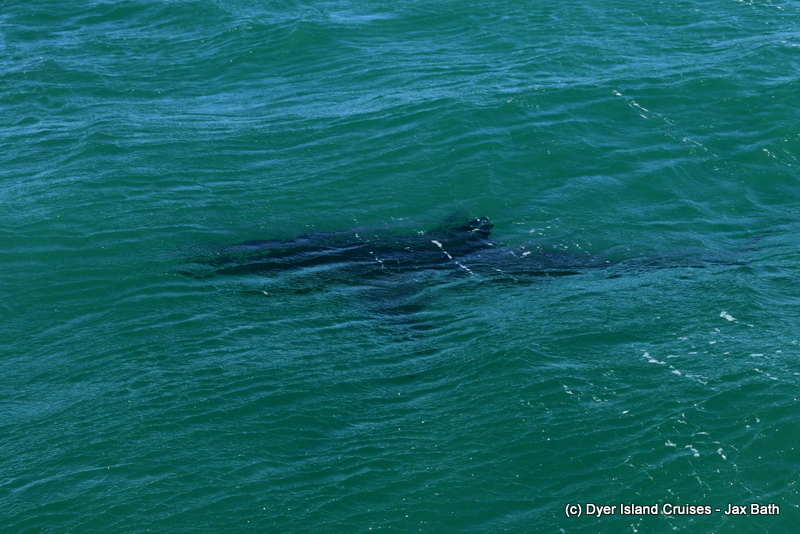 For the second day in a row, we spotted a Great White Shark travelling just below the surface of the water. This was a fairly large animal, and we tracked the movement through the bay until it moved into water that was a little too shallow for us to move into. 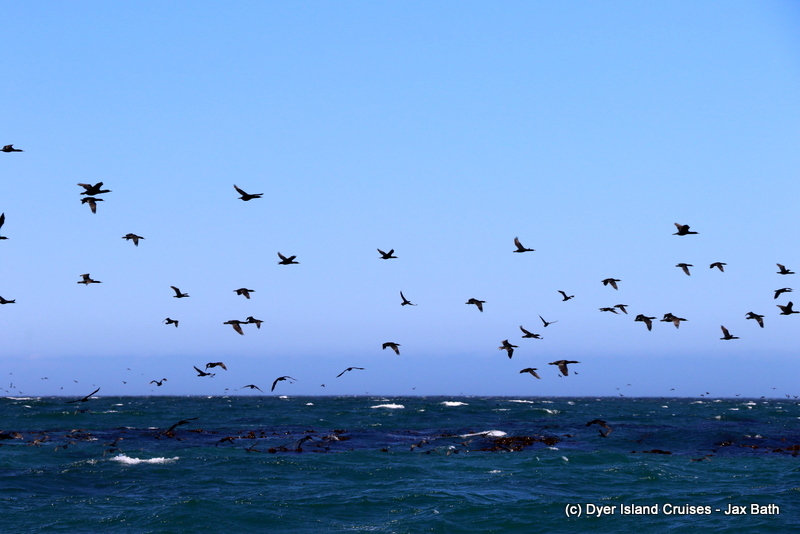 After this awesome sighting, we made our way over The Clyde Reef System and towards a giant bait ball, which was given away by thousands of Cape Cormorants. 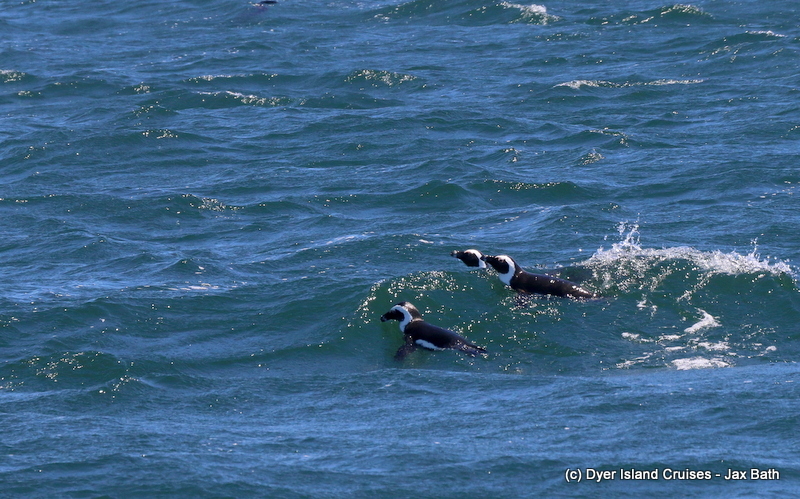 It’s amazing to see these birds flock out at sea, flying one behind each other to save energy. We spent some time watching their spectacular swarming behavior, trying to keep pace with them as they made their way home. 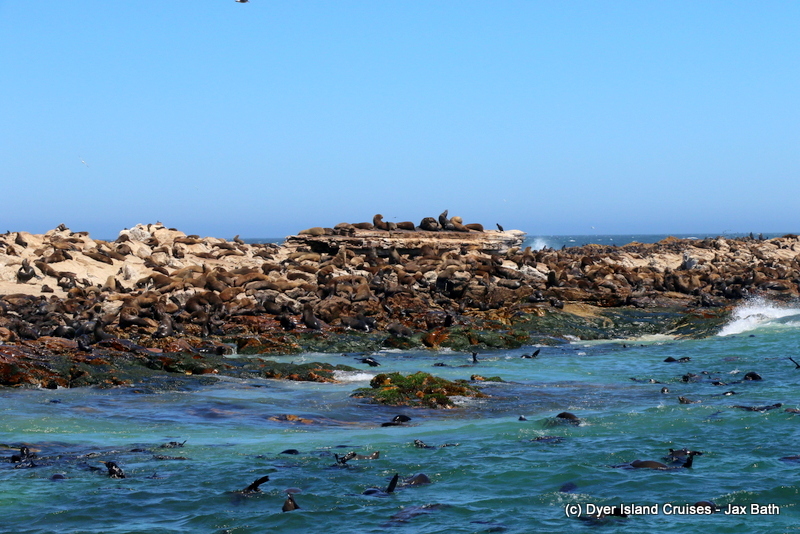 We then made our way over into Shark Alley, where we had our very playful Cape Fur Seals. 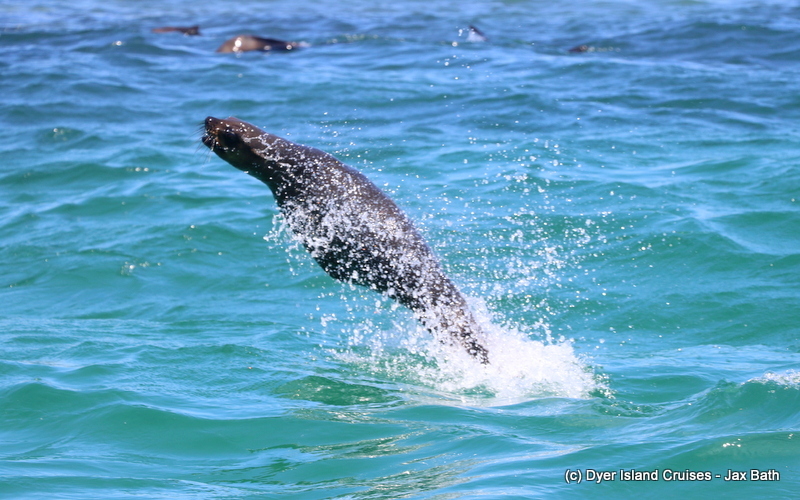 We had lots of cheeky seals playing about, jumping out the water and swimming right next to us in the crystal clear water. 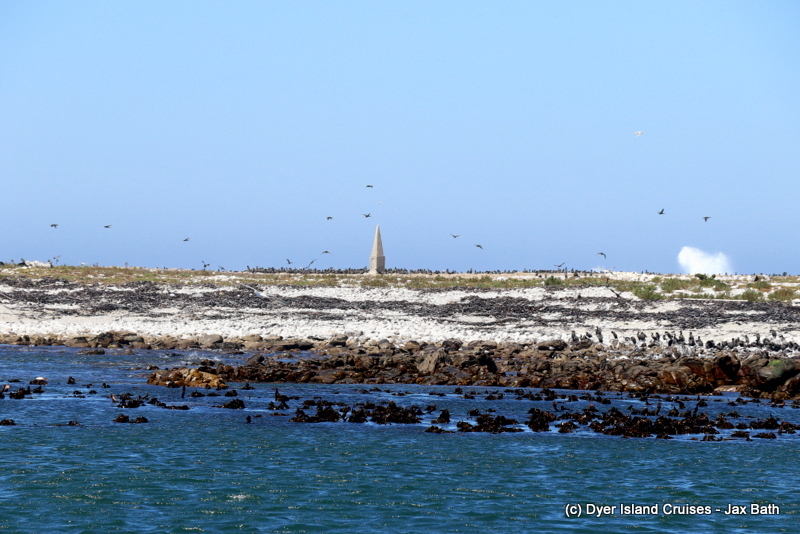 We cruised up and down the alley, checking out puppies and adults a like before making our way around Dyer Island. We took a quick stop in front of this birding paradise. 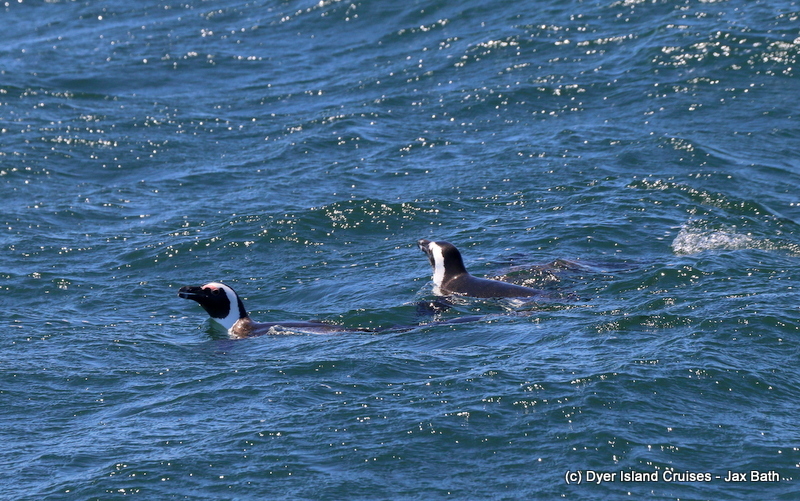 After stopping, we slowly made our way back to the harbour, spotting a raft of African Penguins along the way. 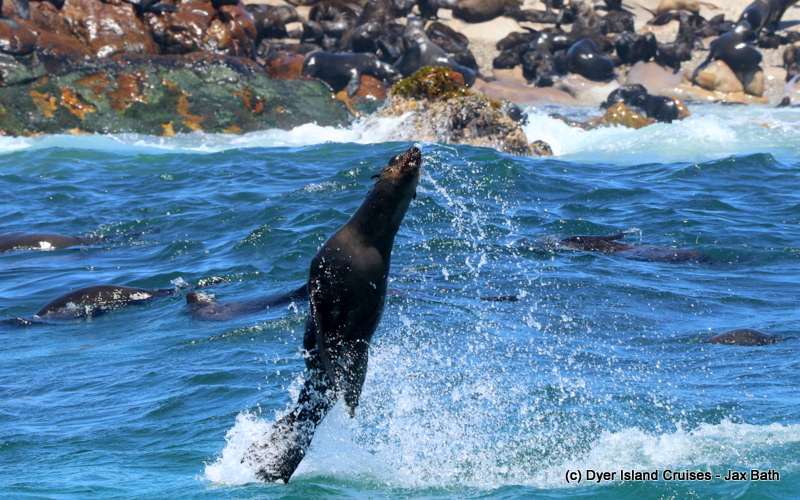 We had lots of seals jumping about today. The gravestone of Captain Powers. 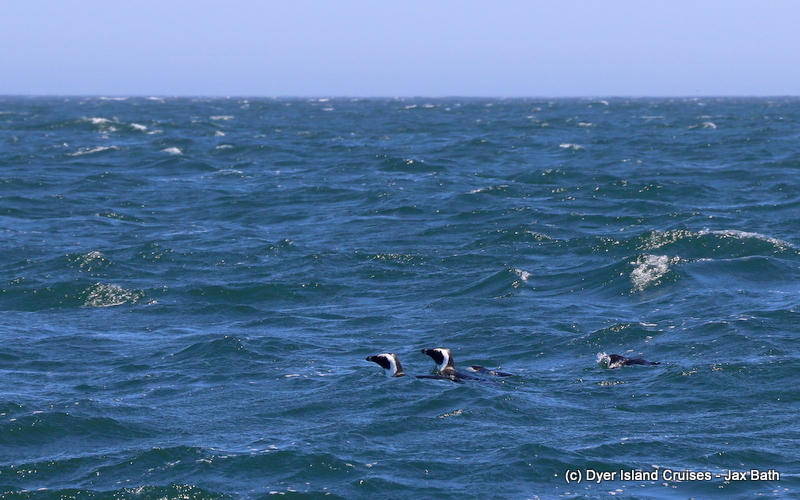 A raft of 4 African Penguins heading home from some fishing. We got some awesome sights of this group moving along. A Great White Shark cruising below the surface. 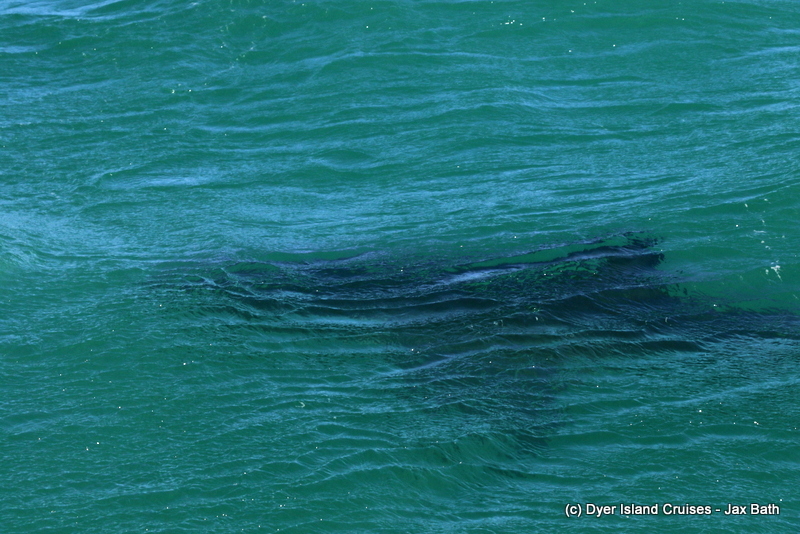 We were so lucky to come across this shark in The Shallows, we found him travelling along. 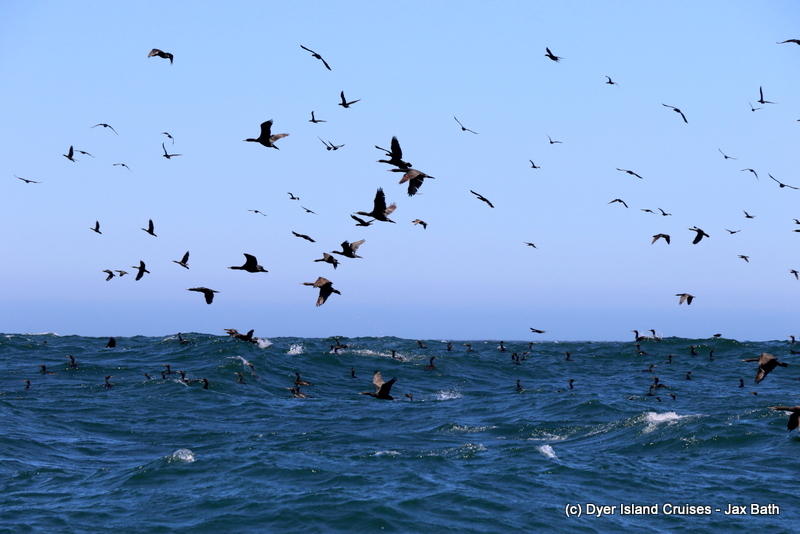 We had a massive flock of Cape Cormorants today, travelling along The Clyde to head back to the island. 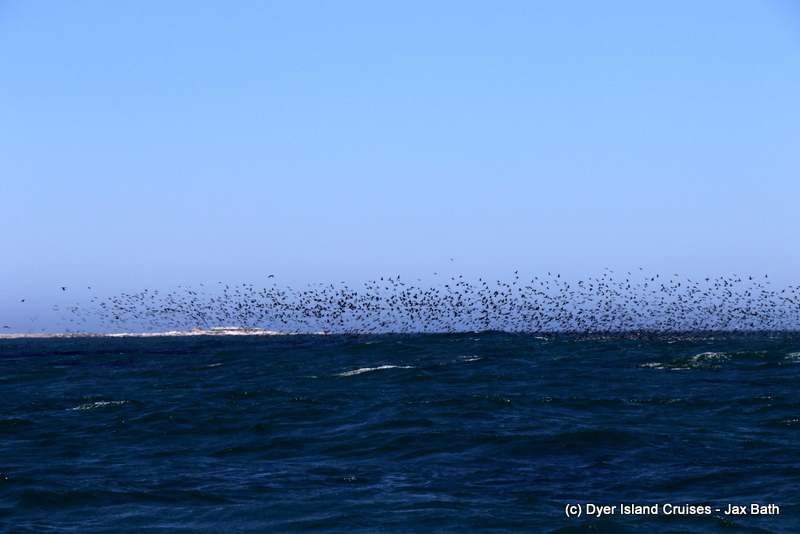 Here one can see the swarm of Cape Cormorants heading home. It’s a very special sight to have these birds on the water. The Prince Port on Geyser Rock.